Cut 4. Unless you have the timber up of the ground and on a stable surface some times you run into the problem of the saw handle being obstructed. 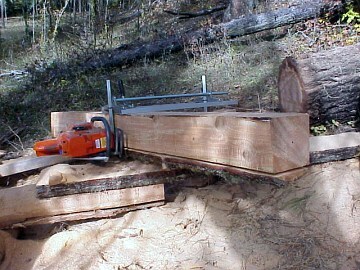 This happens more often with cuts 3 and 4 since the timber is getting narrower. Adjust accordingly. It weighs less now.